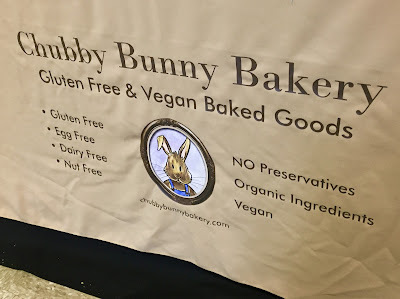 While at the Gluten-Free for Cincinnati Expo, one of the booths that really drew me in was Chubby Bunny Bakery, a gluten-free and vegan bakery that had an array of picture-perfect baked goods that tempted my taste buds. At the Expo, I brought home two of the treats displayed and the event, and after enjoying both really regretted not purchasing more. It was truly amazing how much I fell for this little bakery! When it comes to dessert, you cannot go wrong with chocolate chip cookie sandwiches. Part cookie, part cream and oh, so satisfying, these cookie sandwiches were beyond delicious. I loved the buttery, old fashioned quality of the cookies, which had the perfect ratio of cookie to chocolate chip. The dreamy vanilla cream was smooth and supremely vanilla-y, and was portioned well- not too much, not too little. 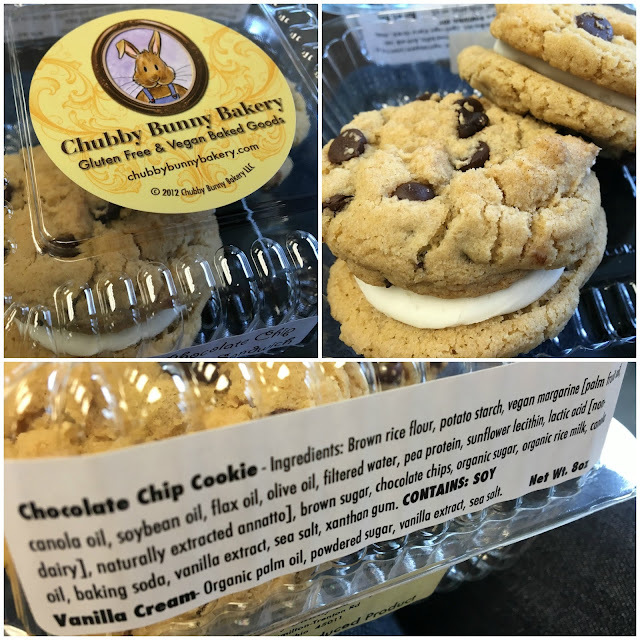 I ate the first cookie sandwich after the show, and the second one soon was devoured, as I could not resist the deliciousness of them. The other treat that caught my eye was the decadent brownie, which is the perfect descriptor for such a treat. The rich, fudgy brownie was intensely chocolatey, which was not too sugary at all. The vanilla icing on top provided creamy contrast, while the chocolate chips provided an extra crunch for textural contrast. 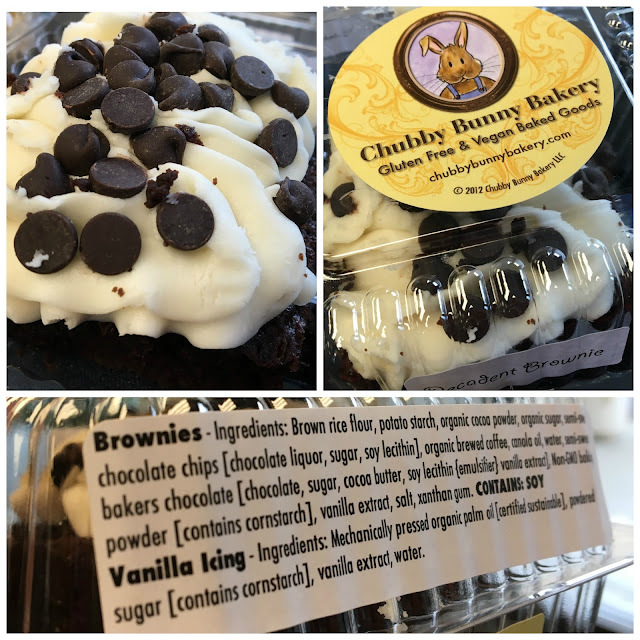 Totally raising the bar for any brownie I eat going forward, Chubby Bunny's easily make it into the top tier of gluten-free brownies I have tasted. A post-expo visit to Jungle Jim's (recap here) allowed me to take stock of the Chubby Bunny products they had in stock. 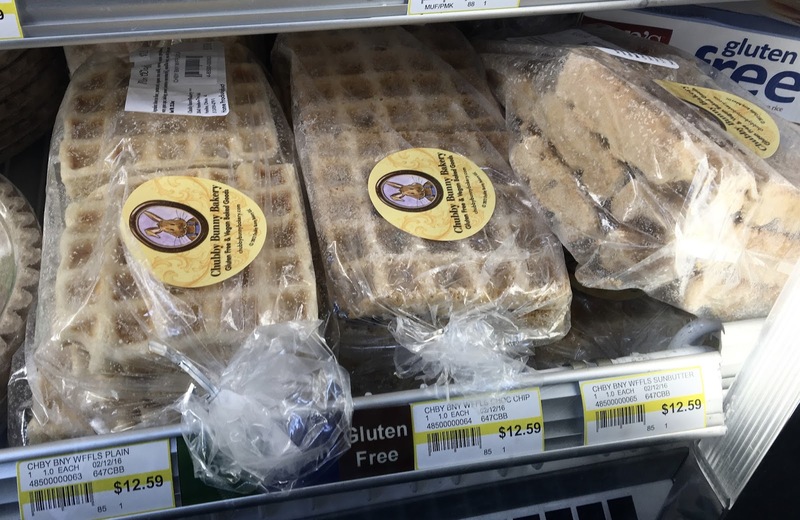 I was sorely tempted to purchase their Belgian waffles, which come in plain, chocolate chip, and sunbather, but knew they wouldn't be practical to carry on the plane with me the next day. I'm definitely going to try some next time in town though! On their dedicated end caps, brownies, cookie sandwiches, doughnuts, and cupcakes for sale. Definitely don't forget to grab a couple when you're exploring around the massive grocery store! Other locations where Chubby Bunny Bakery's delicious products are sold are Moon Co-Op and Kofenya in Oxford, OH. As the bakery's presence grows, I really hope to see them grow into their own storefront someday, which I will be a proud patron of. Until then, I'll be cheering them on from afar! To visit Chubby Bunny Bakery's website, click here.